The invention of photography has been one of the greatest things to happen to the preservation of history. 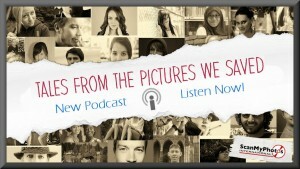 Both famous and personal events have been captured on film and illustrated for generations to re-live for years to come. Fortunately for us history fans, the Internet is teeming with interesting vintage photos you have to see to believe. 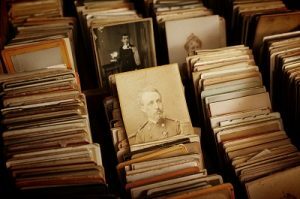 If you, like us, love to look through old vintage photos and try to piece together the thousand words they contain, then you need to check out these awesome vintage photo sites. A picture is worth a thousand words, but some pictures might be worth even more than that. In fact, the History Channel recently revealed that a newly resurfaced vintage photo might unlock the mystery surrounding famed pilot Amelia Earhart’s disappearance over 80 years ago. Earhart and her navigator Fred Noonan set off on a pioneering flight around the world in 1937. Unfortunately, Earhart and Noonan disappeared somewhere near Howland Island over the central Pacific Ocean. 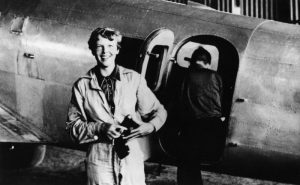 So, for the last 80 years, historians and amateur investigators have been trying to piece together what happened on Earhart’s doomed flight. Did she crash land on an obscure island? Did her plane plummet into the unforgiving Pacific Ocean? Or, as the latest news suggests, was she captured by the Japanese after crash landing on the Marshall Islands? Of course, the recent release of this particularly interesting vintage photo is sending the world into a frenzy over the possibilities. 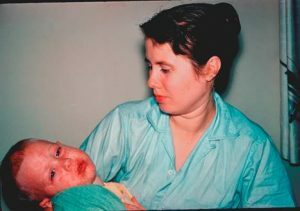 Max’s beautiful wife Patsy taking care of their son who was sick. We are all made up of moments—our first steps, first words, first kiss. Over time, these moments accumulate like snowfall and shape our present reality. But misunderstandings can arise when other people fail to see all the moments that shape who we are. They don’t see why we do the things we do or make the choices we make. This is where photos can help. In fact, ScanMyPhotos customer Max Branscomb used photos to illustrate the beautiful connection he had, and always will have, with his wife. About a year ago, while he was chatting with friends, he realized he never really shared with them the reason why he was constantly visiting his wife in a care facility.